Bodycare presents this full sleeves baby top to give a comfortable, non restrictive fit. Made from soft thermal Cotton material. These full sleeves top ensures fuss free dressing. Plain Black thermal top gives it a decent look. Material used are carefully chosen to avoid any harshness to his skin. It is essential during winter season, I can make my kid wear as insider for his school uniform. 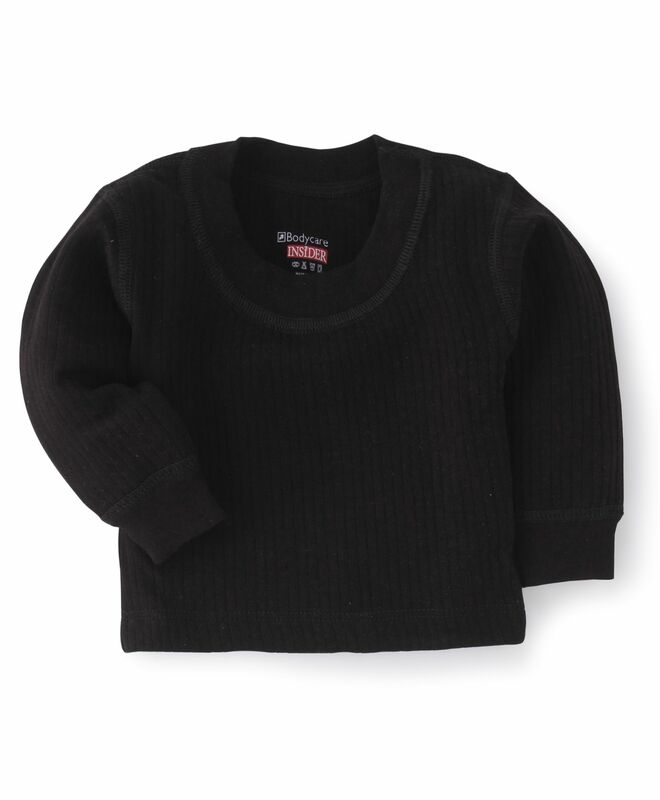 Moms feel warm when u see your kid in this thermal wear. I usually buy bodycare thermals for my baby from firstcry and always get good quality but this time I received the product of worst quality unexpected, its like a T-shirt and not thermal. Plz firstcry do have a quality check as the product is quite higher in price and the product I received is not at all worth ?280/- and also not returnable, very disappointed this time.